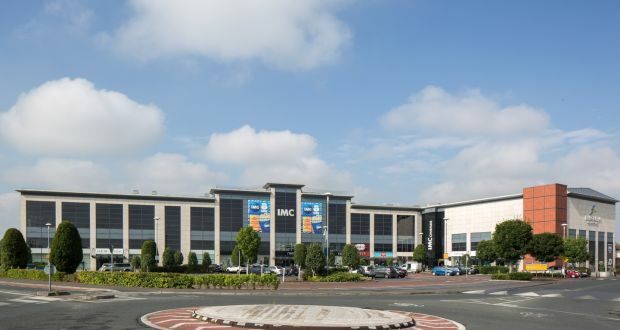 The highly successful Fairgreen Shopping Centre in Carlow is to be sold by the Northern Ireland businessman Dr Gerard O’Hare, whose company Parker Green International also owns The Quays shopping centre in Newry, Co Down. Property advisers CBRE are quoting €36m for the 14-year-old Carlow centre, which is 95% let and producing a rental income of €2,705,000 per annum. New owners can bank on a net initial return of 7.2%. The Fairgreen is the dominant retail scheme in the Carlow area, attracting about 100,000 shoppers a week largely because of a strong line-up of national and local traders and the availability of a highly convenient surface car park, with 762 spaces in the 13 acre grounds. There are currently 44 traders in the 23,690 sq.m (255,000 sq.ft) centre. It is anchored by Tesco and Heatons which own their own stores. Both are based in the first phase, a predominantly single-storey, L-shaped block with almost 50% of the overall floor area. The tenants include Sam McCauley’s Chemists, Easons, Vera Moda and Jack & Jones. Parker Green managed to line up six top-class tenants for its phase two retail warehouse wing, which extends to 6,488 sq.m (69,841 sq.ft) and has the great advantage of open retail use. This has allowed it to attract Argos, which pays a rent of €265,000; Next (€255,000); New Look (€220,000) and River Island (€145,000). Costa Coffee also operates out of this extension. Rents generally work out at €185 per sq.m (€17 per sq.ft), which are considered appropriate for the facility. The top 10 tenants account for 62% of the rental income and have a weighted average lease period to run seven years. The warehouse wing has also benefited from the development of an eight-screen cinema at first-floor level by IMC Cinema Group. The facility includes the largest screen in Ireland and is held by way of a long leasehold interest. The owners of the Fairgreen suggest there is scope to develop a third phase of 10,444 sq.m (112,418 sq.ft) , subject to planning consent. It could take the form of an extension of the existing first phase, replacing the present row of shops on Barrack Street to form a new streetscape linking up to the town centre. Such an extension could allow for an additional 12 retail units, including a new anchor tenant and two sub-anchors. Kyle Rothwell of CBRE, which is handling the sale, said the Fairgreen was clearly one of the best retail assets to have been offered for sale for some time. There was obvious potential for the purchaser to increase the already strong rent roll though good asset management.